VP Racing Fuels also serves as the Official Fuel Provider for the International Motor Sports Association (IMSA), the sanctioning body that runs during the Motul Petit Le Mans weekend. VP Racing Fuels has powered all IMSA WeatherTech SportsCar Championship cars since the inception of the series in 2014 and will continue to do so with both the series and sanctioning body. IMSA activates with VP Racing Fuels at a number of their rapidly-growing fuel stations across the country. The VP Racing Fuels gas station, which has been recently refurbished, dispenses 93 unleaded, C9 (96 unleaded) and 110 leaded during both public and private track rentals. New for 2018, the fuel station is also dispensing C10 non-ethanol 100 octane fuel, which has been wildly popular amongst competitors. 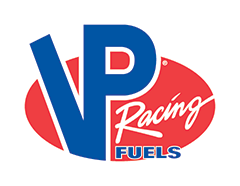 The VP Racing Fuels Station is located in the support paddock on Road Atlanta property and has fuel available for purchase all throughout the year. VP Racing Fuels is best known as the World Leader in Race Fuel Technology™, fueling champions in virtually every form of motorsport on land, sea and air since 1975. VP is the Official Racing Fuel of the IMSA WeatherTech SportsCar Championship, Road Atlanta, Watkins Glen Raceway, Lime Rock Park, Santa Pod Raceway, AMA Supercross, NMRA, NMCA, World of Outlaws Sprint Cars and Late Models, Pirelli World Challenge, PDRA and Rally America, among more than 60 VP-sponsored series and sanctioning bodies. As part of a retail branding program, gas stations and convenience stores across the U.S. are being branded as VP Racing Fuels, with each providing distribution for VP’s other product lines, including ethanol-free VP Small Engine Fuels, formulated for 2- and 4-cycle outdoor power equipment; VP Madditive® performance chemicals; VP Hi-Performance Lubricants; VP PowerWash™; and VP PowerMaster® hobby fuels for R/C racing. VP's most recent diversification efforts include the introduction of VP Hi-Performance Lubricants in conjunction with the launch of quick lube facilities branded VP Racing FASTLUBE™." More information is available online at VPRacingFuels.com.